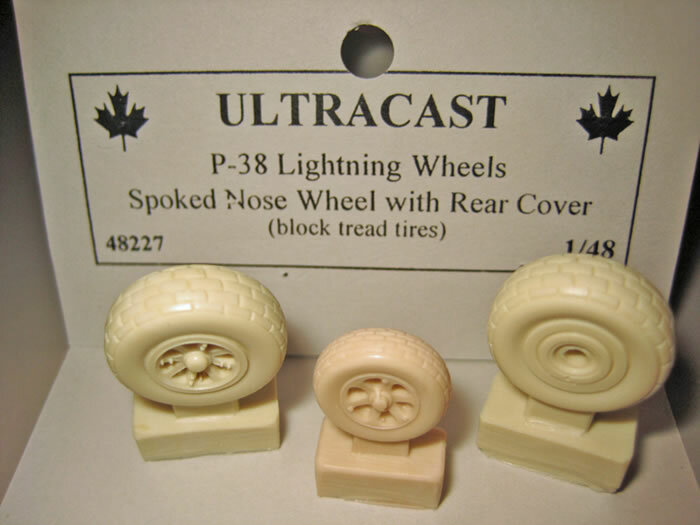 Ultracast has given us some great aftermarket items, including wheels and seats. Their latest releases are for the P-38 Lightning. 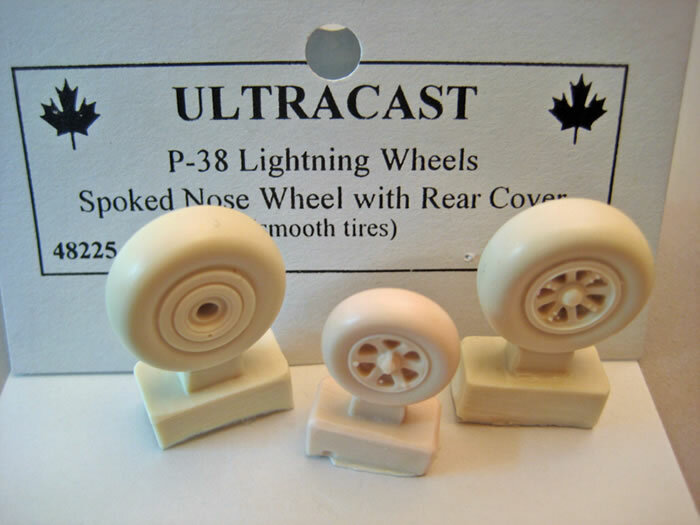 Three styles of main wheels were used on the P-38 and Ultracast gives you the option of doing any one of them. All the of the review items are molded in blemish free light cream resin with absolutely exquisite molded on detail. Each set comes with three wheels, one nose wheel and two main wheels. These wheels are beautifully cast with the proper bulge, not the flat tires of some other sets. These look very realistic as if the tire is under a weight. Each tread style is expertly captured, especially the block pattern which is simply gorgeous. The depth of the spokes is quite impressive with beautiful detail even inside the spokes. Removal from the casting block is simple and easy. If you’ve never worked with resin before these wheels are a good way to start. 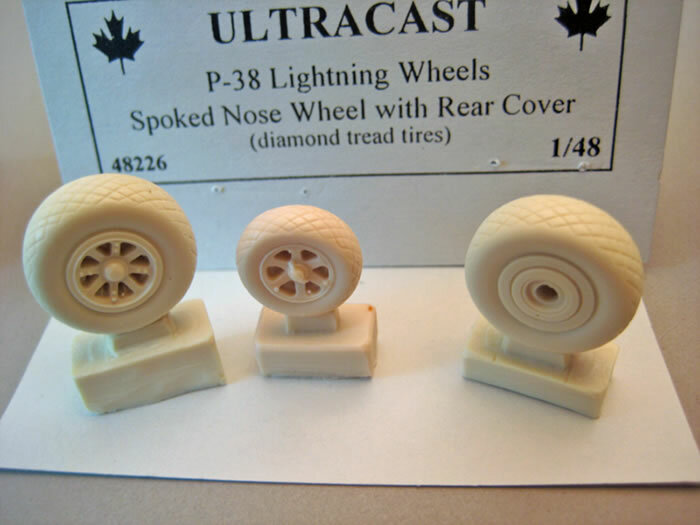 These wheels will add a realistic sit to your model, a simple and effective upgrade for your model. If you’ve never used resin aftermarket these are a simple way to learn. If you want a realistic sit and feel to your model these wheels are really the best on the market. Another great product from Ultracast. Review Copyright © 2011 by Floyd S. Werner Jr.